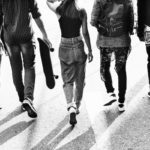 The non-traditional student demographic has become less and less “non-traditional” as their numbers have grown strongly at colleges and universities across the United States, but the higher education space is still largely designed to meet the needs of first-time, full-time, traditional students. This article, by Melissa Cominole and Alexandria Walton Radford, reflects on their recent research into the demographics of today’s student body and shares some insights into how the higher education industry is transforming to adapt to its new student population. What are the most important misconceptions our industry has about non-traditional students? There are four big misconceptions about non-traditional students. 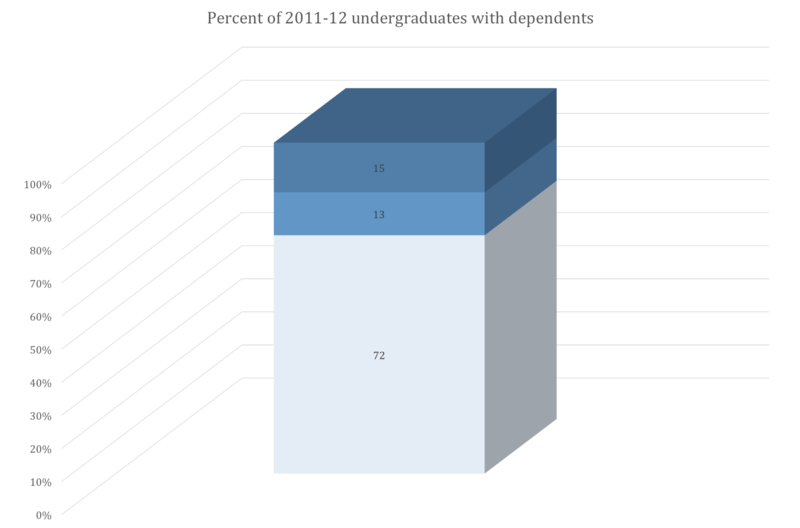 Misconception 1: The proportion of undergraduates who are non-traditional is small. Fact: Many working in higher education still think of the typical college student as a recent high school graduate who enrolls in postsecondary education within a year of earning a traditional high school diploma, is financially dependent on their parents and has no dependents of their own, attends college full time, and does not work full time. Yet the average college student actually looks quite different. We found that about three-quarters (74 percent) of all 2011–12 U.S. undergraduates had at least one of these characteristics, with nearly a third (31 percent) having two or three of these characteristics, and almost a quarter (24 percent) having four or more. Misconception 2: The high percentage of non-traditional students is a new phenomenon. Fact: Non-traditional students have had a sizeable, consistent presence for decades. Since the U.S. Department of Education started collecting data on these student attributes in 1996, at least 70 percent of U.S. undergraduates have had at least one of the characteristics to classify them as non-traditional, and more than half have had at least two characteristics. The percentage of students exhibiting each of the characteristics that categorize students as non-traditional has also been relatively stable over this time period. Misconception 3: The high percentage of non-traditional students is a temporary phenomenon. Misconception 4: Non-traditional students are older students. Fact: While the higher education industry may picture non-traditional students as older, our data show that 39 percent of all students with at least one non-traditional characteristic are under age 24. What do institutions need to know about non-traditional students in order to serve them better? In order to most effectively implement policies that will help non-traditional students, institutions need to analyze the particular characteristics of the students on their campus. There is a lot of variation among non-traditional students, and their needs are diverse as well. Two non-traditional characteristics are related to students’ academic preparation. Nine percent of all 2011–12 undergraduates entered college with something other than a traditional high school diploma (e.g., a GED). Moreover, about 34 percent waited more than a year between completing high school and entering college, averaging about 3.3 years. Such gaps can make it hard to remember and build on substantive material learned in high school as well as to recall and incorporate the study habits that foster academic success. Another common feature of the non-traditional student experience is trying to balance school with family and/or full-time work. As our figure shows, over a quarter of all 2011–12 undergraduates were taking care of dependents, and over a quarter were working 35 or more hours a week while in school. Given these facts, it is not surprising that 32 percent of all undergraduates, and 43 percent of all undergraduates with at least one non-traditional characteristic, were enrolled exclusively part time. While part-time attendance is understandable for those balancing other responsibilities, it is important that higher education know that and attending part time can make it more difficult to complete a degree in a timely manner. In an earlier study we found that 63 percent of first-time undergraduates who were enrolled full time throughout college attained a postsecondary credential within 6 years, compared with just 15 percent of first-time students who were enrolled part time. 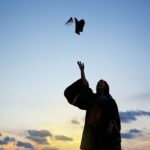 And in another investigation we reported that first-time students who did not have a dependent or a job during their first year enrolled were about 20 and 25 percentage points more likely to have attained a credential in 6 years than those who had at least one dependent or a full-time job, respectively. Given the population of non-traditional students, what do you think the future holds for higher education? The traditional campus experience will continue to be a key factor in the higher education arena. Nevertheless, as the importance of obtaining a postsecondary credential grows and college costs continue to increase, all students, but particularly non-traditional students, will be looking for more convenient and cost-efficient ways to pursue higher education. Below we highlight some of the efforts different stakeholders are pursuing in order to better serve non-traditional students, and discuss where we see the industry moving. In response to students’ need to obtain in-demand career skills quickly, non-academic private organizations have started creating bootcamps. While intensive and expensive, these short-term programs provide credentials and connections that can often get students a job more quickly than the traditional route of enrolling for a few terms at a technical or community college. We can expect traditional postsecondary institutions to try to address this need for short-term upskilling that the more nimble non-university providers have started to serve. As showcased in an earlier EvoLLLution piece, Northeastern University has already launched its own bootcamp. Institutions and systems are finding ways to better serve non-traditional students by addressing both the academic and non-academic challenges their students face; and the search continues. Below are just a few examples. Traditional higher education has increasingly been playing with alternatives to usual classroom-style education. 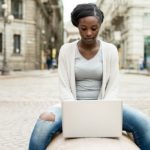 Online courses and programs continue to be attractive to non-traditional students balancing family, work and school because they offer flexibility and address concerns about schedule and commute. Competency Based Education (CBE) and Prior Learning Assessments (PLAs) can also be beneficial for non-traditional students because these programs award credit based on demonstration of competency rather than time spent on coursework. Students who have developed competencies inside or outside of the classroom can get credit once they show they can meet curriculum standards. These programs are also helpful for students balancing multiple responsibilities because they allow students to progress on their own schedule, moving quickly through material they already know and taking more time on material they don’t. As the government is allowing experimental sites to maintain eligibility for federal aid while testing different CBE approaches and as employers are becoming more aware of CBE programs, we can probably expect to see even greater student interest and enrollment. States and systems are also revising their academic systems to make college completion easier for community college students (including many non-traditional students). Systems are working to improve articulation agreements between 2- and 4-year institutions so that students can more efficiently transfer credits and earn a bachelor’s degree. More attention is also being paid to reverse transfer, where an associate’s degree may be retroactively awarded to students who have completed the necessary coursework but might not have been actively pursuing this credential. Additionally, a growing number of states now allow community colleges to confer bachelor’s degrees in certain fields, making a bachelor’s degree more accessible to students who are not able to enroll in a 4-year institution. Non-traditional students balancing school with family and work and seeking to limit school commute time are particularly likely to benefit from this change. As institutions and systems work to clear the red tape around earning a credential, non-traditional students’ enrollment and completion should increase. Institutions are also making changes to nonacademic aspects of the student experience in ways that can help non-traditional students. In recent years, we have seen institutions and systems step up their outreach and increase the services they provide to certain non-traditional populations, such as veterans, and they are getting help from organizations like the American Council on Education with their toolkit for veteran-friendly institutions. Some institutions are also tackling logistical hurdles that can affect non-traditional students’ access and persistence. For example, transportation to and from school can be a particular problem for students from inner city and rural areas. In response to student struggles with long commutes and access to affordable transportation, the College of Staten Island implemented a very popular program in which a shuttle provides transportation for 360,000 students. Another non-academic deterrent to enrollment and persistence is lack of convenient and affordable access to childcare on campus. The Institute for Women’s Policy found that about 46 percent of 2-year institutions provided childcare services in 2013. To address other life needs that can get in the way of college, the City University of New York-Kingsborough Community College has developed a comprehensive student service center, Single Stop USA, that provides a range of services including financial counseling, screening for public assistance, a food bank, legal aid, and free tax preparation. To improve non-traditional students’ access and completion, we hope more institutions will analyze their students’ characteristics and assess and address their particular non-academic needs. At the federal level, we are seeing proposals that would be beneficial for non-traditional students. For instance, the possibility of allowing federal aid for competency-based education, direct assessment and prior learning assessment, and bootcamp programs suggests that there is support for innovation in finding ways to make the path to and through college less bumpy. In fact, the Department of Education has awarded several “First in the World” grants to develop and evaluate new approaches to improve postsecondary outcomes, especially for underrepresented students and students with limited financial resources and academic supports. Calls to make community college tuition free for two years would facilitate non-traditional students’ enrollment and lessen their need to work, and such proposals are receiving widespread support from national, state, and city leaders. In sum, there may be some misconceptions about the magnitude, permanence and face of non-traditional students enrolled in higher education, and there is certainly a significant and continuing need for additional resources and supports. That said, there is clearly an array of engaged policymakers seeking and developing programs and policies that can better serve non-traditional students. 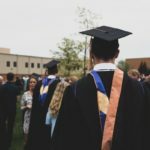 This is good news, because any resource that supports how to learn about enrollment options, balance school with other commitments, become and stay engaged in college, and stick with school when life is happening around you will surely benefit traditional and non-traditional students alike. To download the report Radford, Cominole and Paul Skomsvold prepared based on their research please click here. I think the statistic about a large number of non-traditional students being under the age of 24 is hard for people to wrap their heads around. There’s this idea that people either go to college straight out of high school or they wait until they’re forty to do it. Either that or a combination of those two things. It’s good to see policymakers catching on and not just university administrators. If the new reality of student demographics is actually going to stick—and it must if we’re going to properly serve these students—these things need to start becoming part of our policy frameworks. There’s so much more than goes into getting a degree than we previously thought, and it’s heartening to see information about institutions providing childcare, financial help and counseling. These things need to be normalized as typical resources required to complete a credential so that institutions know they must offer them and students know there is no stigma attached to accessing them.